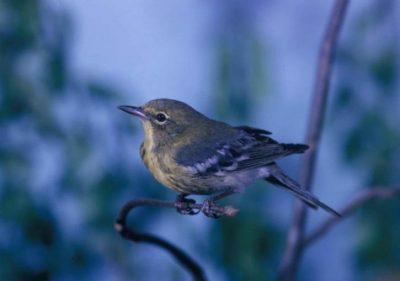 Bird watching in Michigan - see the rare Kirtland's warbler. If you planning a trip to the Great Lakes region and you are a bird watcher, you have an amazing opportunity to see one of the rarest birds on the planet – the Kirtland’s warbler. Kirtland’s warbler (Dendroica kirtlandii) is one of the species of 56-member wood warbler (Parulidae) family. The bird has not been discovered by scientists till 1851. Since the 70’s Kirtland’s warbler has been on the federal endangered species list. Kirtland’s warbler is unusual for many reasons. 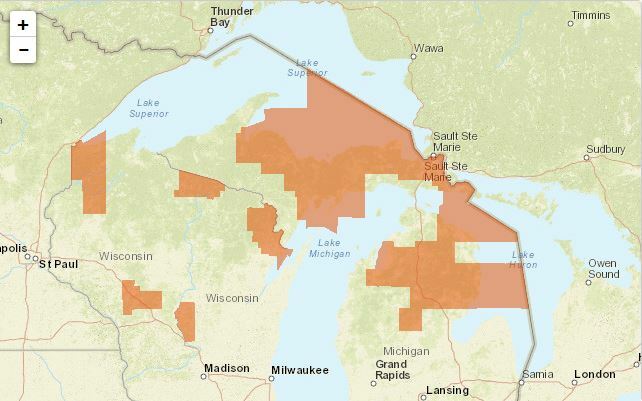 One of them is the fact that it nests only in few counties in Michigan’s Lower and Upper peninsulas, in Wisconsin and in Ontario, Canada and nowhere else on the planet. Current nesting range of Kirtland’s warbler. Chart credit: U.S. Fish & Wildlife Service. Until 1995 Kirtland’s warblers had only been found in the northern part of Michigan’s Lower Peninsula. Today, they also nest in the Upper Peninsula, and since 2007, have nested in Wisconsin and Ontario, Canada. The Kirtland’s warbler census, done in 1971, revealed a 60 percent decline in its population. The reason behind it has been human interference with its environment. The bird’s nesting habitat consists of the mixed vegetation of grasses and shrubs below the branches of 5 to 20 years old jack pine forests. 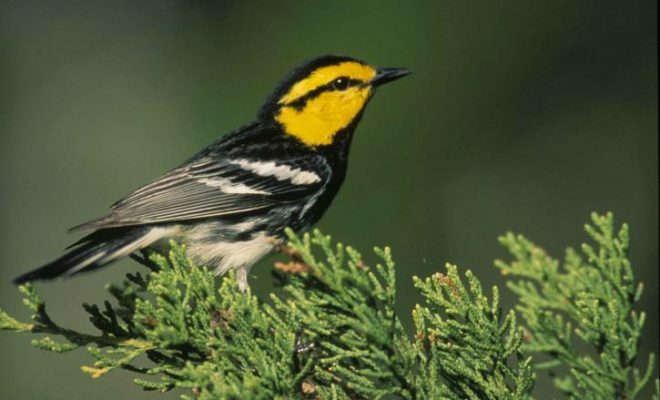 With the modern wildfire suppression, the natural cycle of burn and regrowth of the jack pine forest was disturbed, leading to significant reduction of population of Kirtland’s warblers. Luckily, in the 70’s, when the bird was put on the federal endangered species list, also a Kirtland’s Recovery Team was created. The team’s main goal was re-establishing bird’s population at the minimum level of 1,000 pairs. 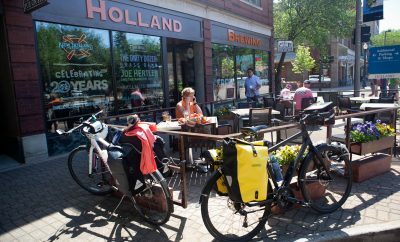 Through cooperation among the Forest Service, Michigan DNR, and the U.S. Fish & Wildlife Service, this goal has been met and exceeded. 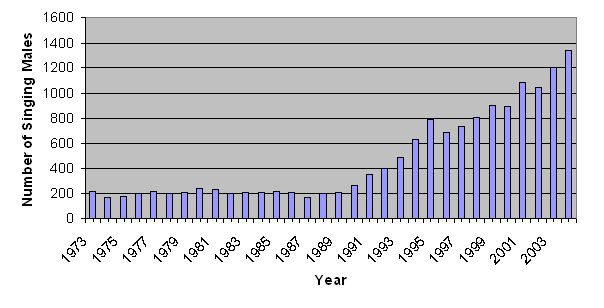 You can see the population growth on the Michigan DNR chart below. Kirtland’s warbler male population in Michigan. Chart credit: Michigan DNR. The guided tours are offered in Hartwick Pines State Park, located north of Grayling, MI. The tours will begin May 15 and end on July 4. They are scheduled daily at 7:00 am. 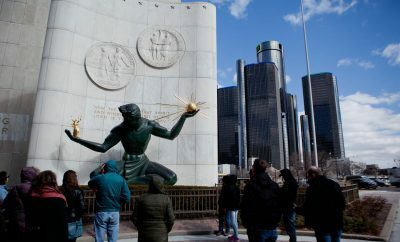 Additionally, on weekends and holidays (Memorial Day, 4th of July) there will also be tours at 11 am. Tours will meet at the Michigan Forest Visitor Center. You can find more info at Michigan Audubon Society website. Photo credit: Joel Trick, U.S. Fish & Wildlife Service. 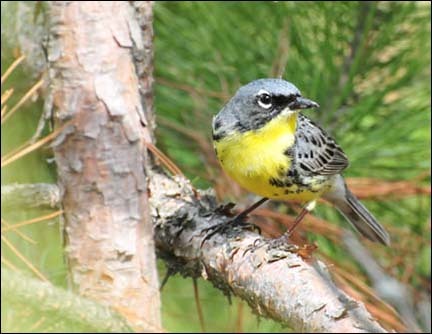 Kirtland’s warbler tours are also offered by the U.S. Forest Service in Mio, MI. The daily tours are organized from May 15 through May 31, 7 days a week at the Mio Ranger District of the Huron National Forest. The Kirtland’s warbler tour begins at 7:30 am at the Mio Ranger District office at 107 McKinley Road. More information can be found at the U.S Forest Service website. Another place where you can go on a guided Kirtland’s warbler tour is again in the Huron National Forest, but this time close to Oscoda, MI. 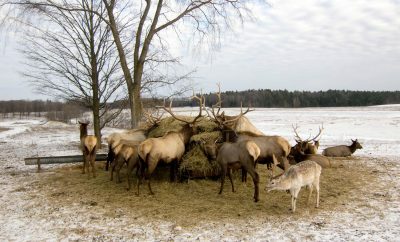 The tours are offered by another branch of Michigan Audubon, the Au Sable Valley Audubon Chapter. They begin on May 21 and continue till Jul 1. Like the ones listed above, they begin early in the morning at 8 am at the Camp Inn Lodge, 3111 U.S.23 in Oscoda, MI. More information is available at the Au Sable Valley Audubon website. Photo credit: Dan Sudia, U.S.Fish & Wildlife Service.